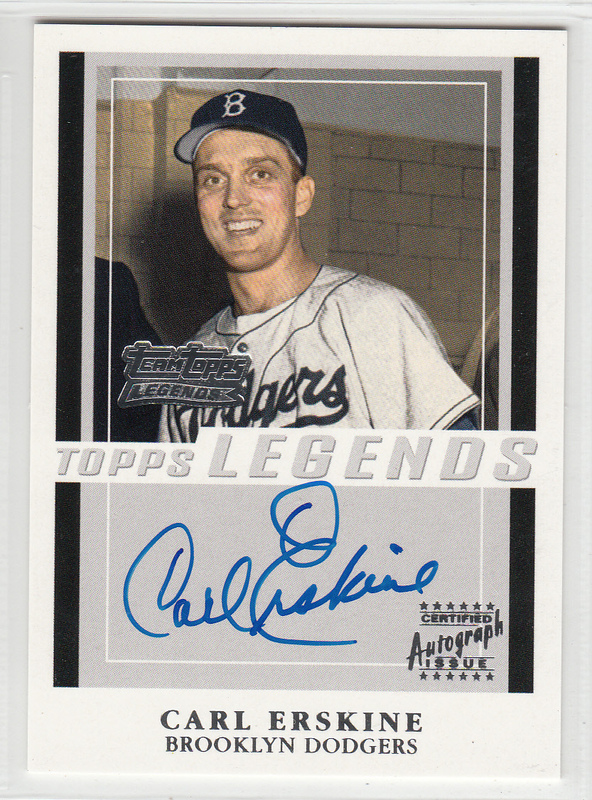 Carl "Oisk" Erskine was a mainstay on the Dodgers rotation in the 1950's. He was a part of two World Championship teams (1955, 1959), and 5 National League pennant winners. On top of that, he hurled two no-hitters. So, when I cam across a letter written by him to a fan named Phil I immediately stood up and took notice. To see my past post of Dodgers Correspondence, go here. Below, "Oisk" shares his greatest Baseball thrill. The more I reflect on my Dodger career the more meaningful it is just having been a part of that team. However the greatest single thrill for me was the 1953 series game against the Yankees in which I fortunately had a good day and good stuff and set a strike out record. Koufax then Gibson both exceeded my 14, but I don't mind being in third place behind those two. I have been thankful all of my life for the opportunity I had to play Baseball- especially for the Dodgers. Since we are on the topic of Carl Erskine, I though it would be a good time to also share a Erskine autographed card in my collection. 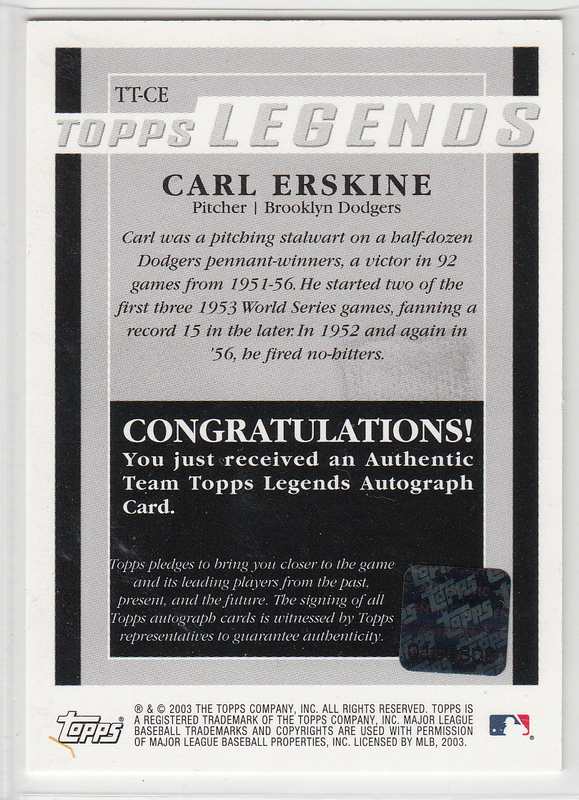 Below is 2003 Topps Legends Carl Erskine autographed card.